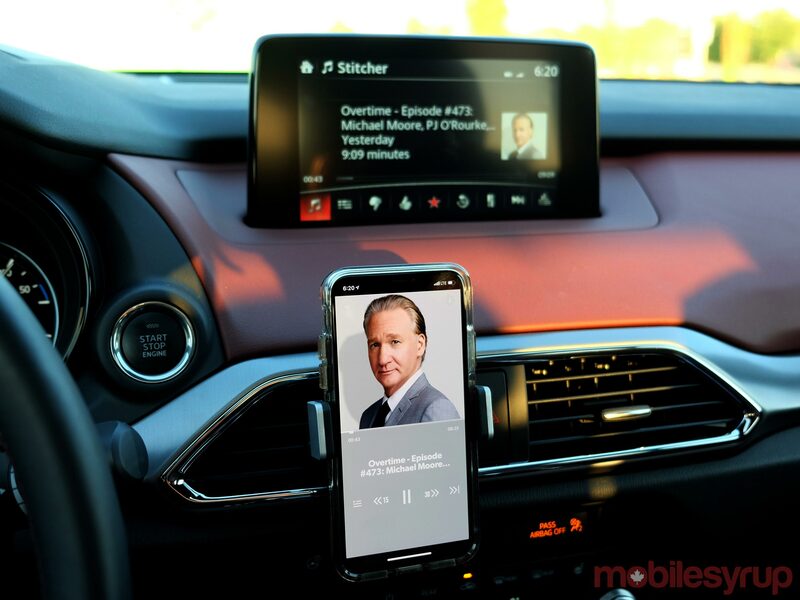 Pushing the envelope on in-car infotainment can be a risky gamble, which is exactly what Mazda has chosen not to do with its latest Connect infotainment system. Mazda has tried to offer an infotainment package that provides enough, with potential room to grow later on. Even at the base model, there is some level of choice. The official name is Mazda Connect with HMI Commander (for Human Machine Interface), implying there is more to the integration inside. 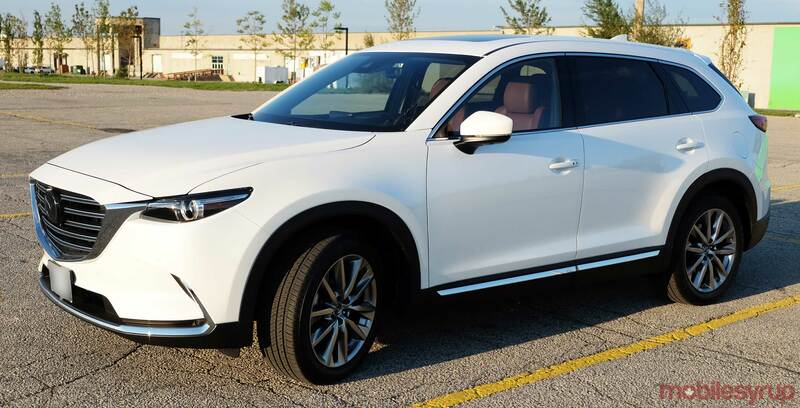 Testing this out on a 2019 Mazda CX-9 Touring trim, an SUV that felt like a luxurious ride all the way, it became clear that rocking the boat wasn’t the plan here. The company made some changes to improve on what it had before without planting something innovative for the industry to take notice. For me, this was a debut with Mazda’s system. This CX-9 was fully loaded, so by extension, would have all the bells and whistles Connect has to offer. At over $50,000 with everything inside the Touring trim, it’s not cheap, and nor should the expectations coming with it. Central to it all is a dual-input made up of an 8-inch touch display and rotary dial for navigating the interface. A number of buttons flank the dial, including a home button and shortcuts for navigation and audio. Back and favourite buttons are also in there. 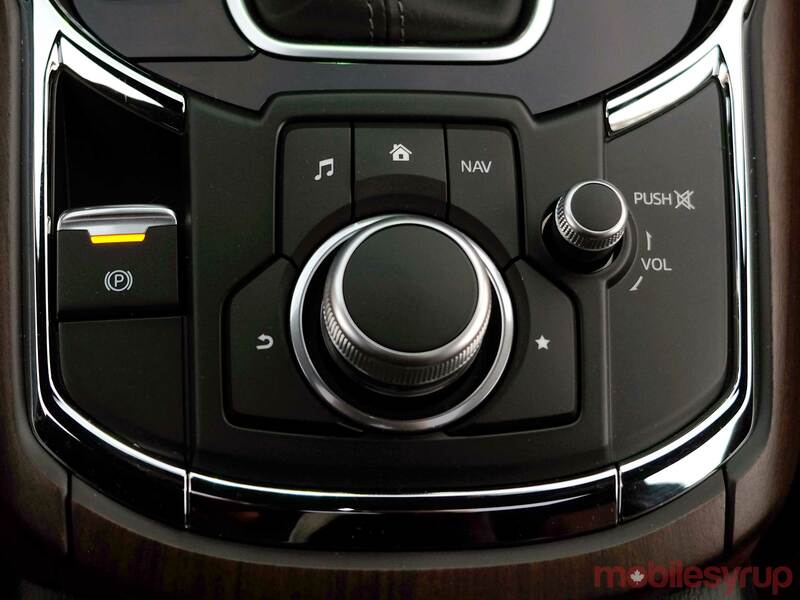 Mazda wisely put the volume dial close by for natural and ergonomic control. Mazda first adopted the rotary dial back in 2013, and it does emulate what German automakers have done in many ways. The dial’s clicking mechanism corresponds with movement on-screen, while tilting up, down, left or right can bounce from one section to another. Pressing the dial makes a selection. This touch-dial combination plays a crucial role in how to get around when using what is otherwise a reasonably clean cut interface. The main menu is a semi-circle of a handful of options, leading to more intricate sub-menus. Even within those, however, there’s never a feeling of bloat here. There’s even some, albeit limited, app integration. With CarPlay and Android Auto onboard, using your phone in this system should be reasonably easy. Notably missing from all the connectivity is an in-car LTE or Wi-Fi hotspot capabilities, despite an embedded SIM card. That card ultimately works with Mazda’s Mobile Start app to enable remote start, lock/unlock and finding your parked car. Bluetooth is a standard feature, though it isn’t equally dispersed. Siri Eyes Free works fine when paired with an iPhone via the steering wheel voice button, whereas Google Assistant doesn’t work the same way. The only way to get that voice assistant working is through Android Auto. The primary USB port for phones is actually inside the storage compartment in the centre console, next to an Aux-In jack and SD card slot. The 12-volt socket is in the front under the dash. Mazda doesn’t support wireless charging in the CX-9, so no hope of filling up any batteries sans cables. The built-in card slot was interesting in that it is exclusively for the navigation system. It does nothing, otherwise. Mazda ships its vehicles navigation-ready, leaving it up to customers to decide if they want the feature or not. Mazda Canada says that applies even after purchase. If a customer decides to adopt it later, it can be installed after the fact by purchasing and inserting the Mazda navigation SD card. With Google Maps and Waze now on offer for both Android Auto and CarPlay, paying extra for the nav setup seems redundant, but in any case, it’s there. 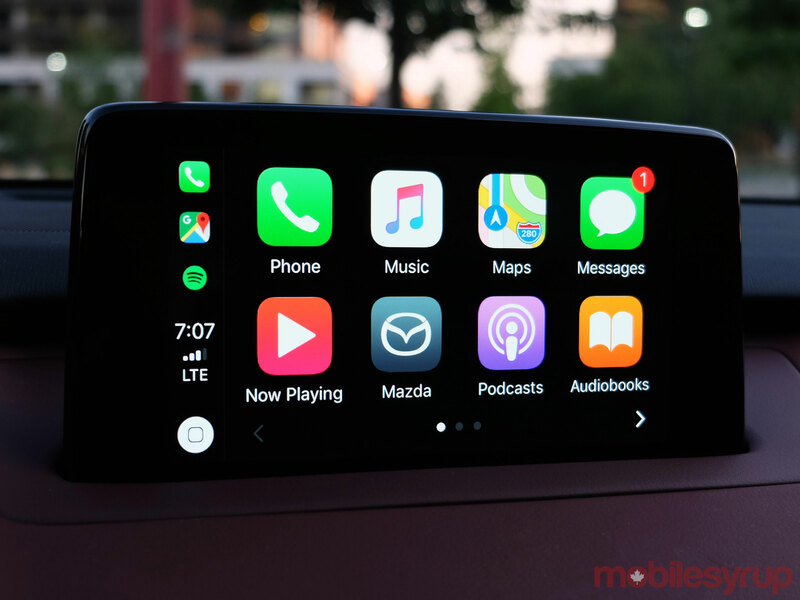 By default, Mazda supports certain apps within the Connect system. Stitcher, Aha and Pandora are all in there, with the latter of the trio still not available in Canada. If you’re using it through a mobile app VPN, however, you can still make the integration work. These apps integrate with a Bluetooth-paired phone, be it iOS or Android. Unfortunately, other popular options aren’t available. Spotify would’ve been an interesting one to include, as would iHeartRadio or Audible. As is, the selection feels limiting, unless you use any of the supported ones regularly. 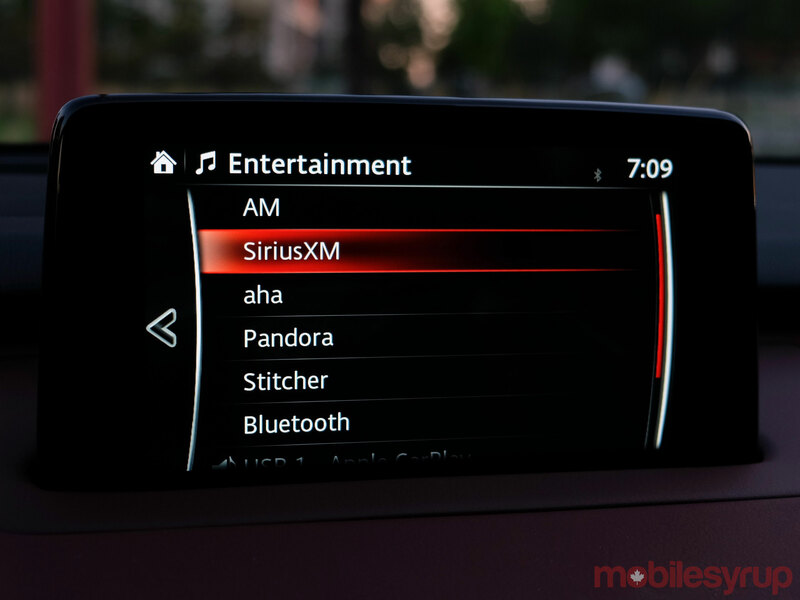 SiriusXM is included for the first three months under trial, but the new SiriusXM Travel Link and Traffic Plus data services are complimentary for five years. Beyond that, there wasn’t much more to wade through in the system’s Entertainment section. I should note that, while not a precise app integration, text messages are audible via Siri Eyes Free. I was able to send them, as well as ask Siri to read out the most recent ones. It worked for WhatsApp, too. Though Mazda does have its own embedded voice recognition platform, it’s not especially deep, and offers no real machine learning or dynamism. I could make calls by voice via an Android device, except text messages weren’t smoothly delivered. I had to say ‘Get SMS’ to hear what came in. Any variation of that phrase came back with nothing. Where the voice proved truly useful was in navigating within the system. I was able to tell it to switch to an FM or AM radio station, or go directly to the supported apps I previously mentioned. If I wanted to go to the phone plugged into the USB port, I only had to say so. Using voice for navigation was also fairly standard. Whether intended or not, these two are the real gems holding up the whole thing. Not that it’s surprising because it’s increasingly becoming the norm for other automakers, too. The dual input method isn’t bad, and I found it necessary because of the distance in reaching the screen. I’m tall with a long reach, so for me to do that, I ended up using the dial more often. Not only that, the screen wasn’t as responsive as I would’ve liked, particularly on the fringes. When I tried selecting something in the corner on either CarPlay or Android Auto, I sometimes had to touch once or twice more to get through. The dial worked in a clockwise fashion when cycling through every menu. Shifting it any which way gave me a shortcut to options above, below or on either side. It may sound a little confusing in writing, but it started feeling natural, with the ability to calculate the number of twists and clicks required to do something on-screen. I have a fair amount of experience testing these systems, so I don’t assume the learning curve will be easy. It’s just not as steep as it would seem. Despite that, the dial felt a little more natural with CarPlay than it did with Android Auto. The two use very different layouts, and while I’m not partial to the grid vs. card display, I used the touchscreen more often with Google’s platform. Google Assistant is a solid equalizer, in some respects. I launched apps using it, and even chose music to listen to, making for a hands-free experience I couldn’t emulate with CarPlay. One weird thing did happen with both platforms. Audio playback would drop in volume and shift entirely to the right side speakers for about four seconds anytime I got an incoming notification, before rebalancing again. I couldn’t figure out why it was doing that, as I’ve never seen that in any other vehicle before. The brief lower volume is common, just not a total balancing tilt to the right channel speakers. Mazda didn’t include anything all that groundbreaking in the Connect system’s current iteration. That’s not so much a criticism, rather a sense that a cautious approach took precedence until the automaker feels emboldened to do more. The ability to update the system is in there -- I just have no idea to what extent, nor what tangible features would come with them. 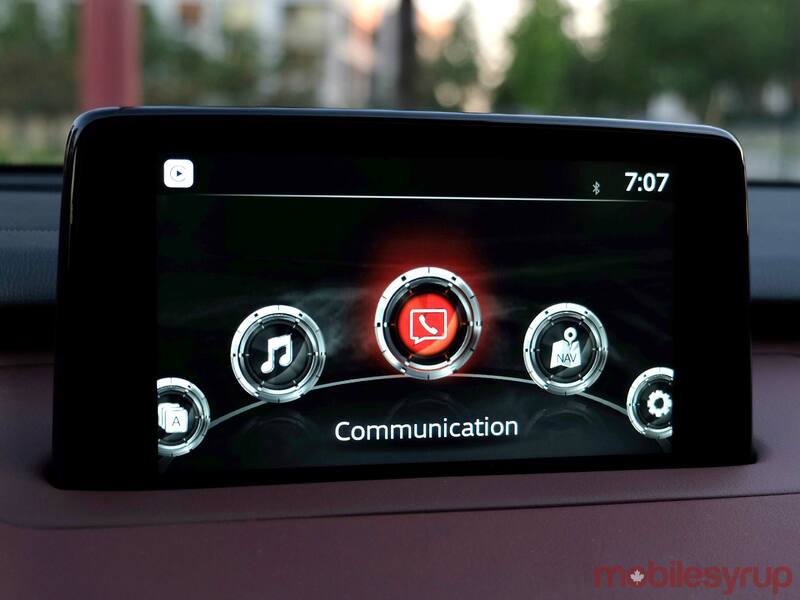 If you are looking for something fairly straightforward and simple to adapt to, Mazda Connect doesn’t try too hard. It’s serviceable and pretty consistent, and at its best when running Apple or Google’s platforms.